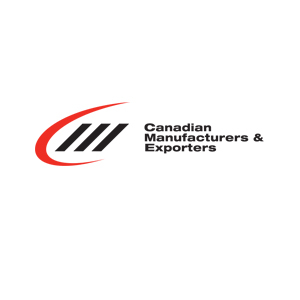 Manufacturing matters this Canada 150 and CME’s recent online Canada Day promotion aimed to raise the profile of Manufacturing and use member stories to paint a picture of our province from infancy to early adulthood, with a bright future on the horizon. Nearly 64,000 Manitobans work in the sector, which contributes more than 10 per cent to Manitoba’s GDP. To celebrate Canada’s 150th birthday, we asked manufacturers, industry influencers and the public to name the companies and products that impact Manitobans, create jobs and help shape our culture. More than 100 companies and individuals participated in the online campaign; the results of which tell the story of a province shaped by industry. At the turn of the last century, heavy industry, food production and transportation had begun to emerge as some of the key economic drivers we see to this day. The Winnipeg Foundry Company was producing two to three tons of metal daily and the Redwood Brewery was turning out 10,000 barrels of alcohol a year. Scott-Bathgate’s Nutty Club brand (famously located at 149 Pioneer Ave) developed a reputation for packaged candy, while the Great West Saddlery Company employed 300+ workers at its manufacturing plants – an impressive number for the day. The Dominion Bridge Company, Fort Garry Fire Trucks and Friesen’s Corporation also established themselves at the turn of the last century. A few decades later, aerospace – StandardAero and Magellan – began to take off. In the nation’s breadbasket, prairie manufacturing boomed after World War II. Two made-in-Manitoba success stories, Versatile and MacDon, helped play a role in agriculture’s exploding production. And while farming was changing, cities were growing at an even faster rate. Manitobans were moving to the ‘burbs and manufacturers were quick to respond. Transportation and aerospace thrived as major employers like New Flyer, Motor Coach and Tripe E RV hit their stride. And with urbanization, companies like Barkman Concrete, Palliser and Defehr (furniture) and Price Industries (HVAC systems) emerged to meet demand. Baby boomers came of age and embraced the digital revolution as computing power began to change the face of manufacturing. A growing consumer culture also gave rise to niche businesses of the day. From Pic-a-Pop to Mondetta to Chip and Pepper and the Pizza Pop, many an overnight success story was born – a great deal of whom are still around and thriving today. Manufacturing is looking at a bright future, as sub-sectors with high tech needs and high skills jobs emerge. Micropilot (drone technology), Magellan and Boeing (aerospace and defense), BOMImed (medical equipment) and Precision ADM (additive manufacturing) are just a few of the manufacturers booming in Manitoba right now. Transportation and heavy equipment manufacturers are important players on a world stage. Companies like New Flyer, Motor Coach, Price, MacDon and Versatile have contributed not just to our history, but are shaping the future with cutting edge products, high-tech solutions and opportunities for jobs. Manufacturing’s food producers are thriving too, as Manitoba Harvest Hemp Foods, Bothwell Cheese and Cornell Crème; not to mention award-winning Diageo Crown Royal Whiskey, take centre stage!